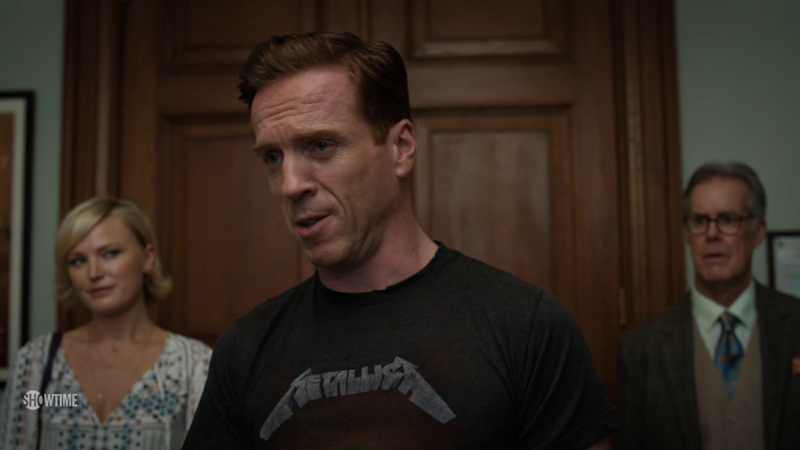 To catch up on the premiere episode, check out my previous Billions coverage here. Mild spoilers ahead! Before we get to that, let’s address the positives and the negatives of the episode. First things first, as the saying goes. Paul Giamatti’s performance as Chuck Rhoades. The man’s got skill and uses it well, leaving me questioning his true intentions and just how pure his morality is. A man can be a great many things, and Chuck Rhoades seems to have a myriad of faces. At times, he comes across like a human dodecahedron, flipping himself to the side that befits his current circumstances while also allowing him both the most leeway and the greatest advantage. Giamatti captures this character with a shocking dexterity, closing in on the heart of Chuck Rhoades before we’ve even been made sure he has one. 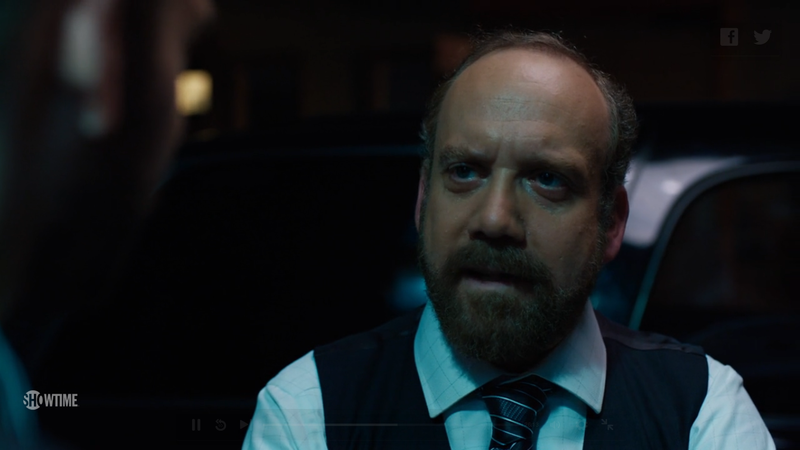 While, in my opinion, Giamatti hasn’t truly become Chuck Rhoades — as Rami Malek has with Mr. Robot‘s Elliot Alderson or Mads Mikkelsen had with Hannibal‘s Dr. Lecter — I already like what I see now, and eagerly await for more to be revealed. The only way is up for the actor, and the forecast is clear. Dialogue. Some lines had me close to wincing from secondhand embarrassment, and others simply fell short. This episode rode waves, swiftly falling from peaks of punched-up and purposeful words into valleys of awkward and empty conversations. Take the locker room scene, for instance. That was one valley even Diana Ross herself might have found too wide to conquer. The Rhoades’ decline in dynamic. 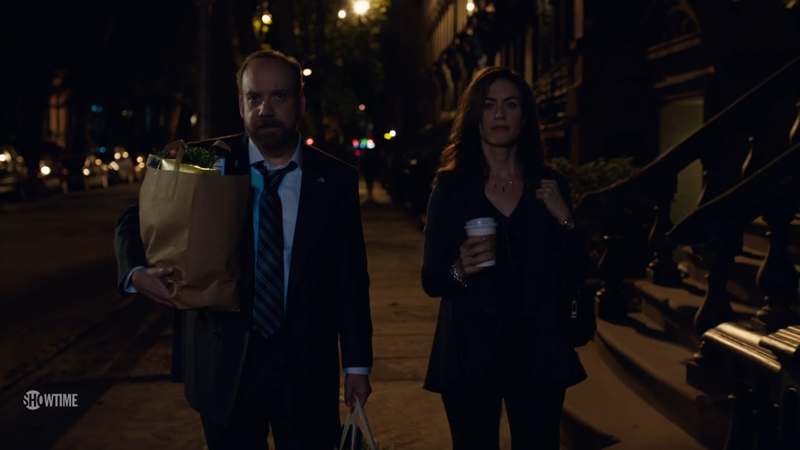 Though I love Maggie Siff and appreciate her strengths as an actress, and of course admire Paul Giamatti for his as well, the feasible chemistry between her Wendy and his Chuck is dwindling, and fast. I see a great future for each character on their own, but hope the kinks — no pun intended — between the pair smooth out over the show’s course. Catch “Naming Rights” now on Hulu with the Showtime add-on subscription, or on Showtime, Sunday, January 24 at 10/9c.